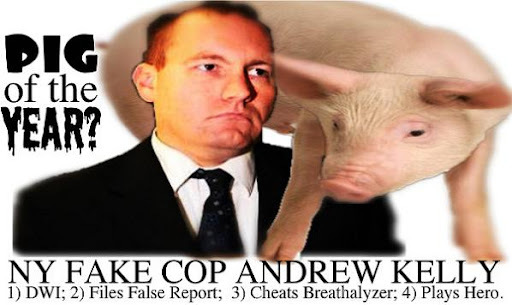 NY FAKE COP ANDREW KELLY: PIG OF YEAR? 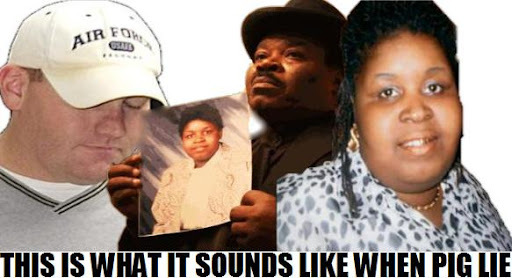 “This is what it sounds like when pigs lie,” New York Black Foot Soldier Caesar Stuyvesant condemned in a private rally held for the beautiful sister, Vionique Valnord, killed by an apparent drunken cop, last week in Old Mill Basin. 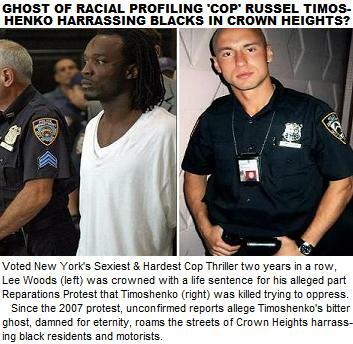 New York Black Foot Soldiers are expressing outrage over a blood-alcohol test that found no trace of alcohol in thirty year old officer‘s system who ran her down because the test wasn’t administered to him until more than seven hours after the he struck her. Stuyvesant gave no indication how the crime would be handled on the street level or whether a Street Penitentiary Protest would be staged. Numerous reports allege fellow officers provided Kelly gum, water and even other alcohol absorbants before, during and after his arrest.